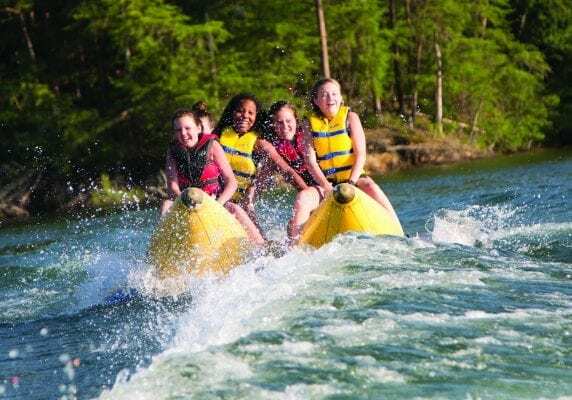 Explore our list of summer day camps throughout metro Atlanta to find the best camp for your child. From free-flighted bird presentations to animal encounters to hands-on science explorations, each child embarks on a journey of the natural world. Children can explore animals and habitats and form a personal connection to animals and the Zoo that can last a lifetime. Offering summer camps June 10-Aug. 2 for 4K-12th Grade. Language Camps in French, German, Mandarin, Spanish, ESL and new Heritage Language Camps in Arabic and Greek. Exciting speciality camps such as Filmmaking, 3D Printing, Garden to Spoon, Stardust, Chess, Arts, Food for Tiny Thoughts, STEAM, Minecraft and more! Imagine a summer experience with 60 different themed camps, engaging kids in STEM and STEAM experiments and projects. Our highly trained counselors will immerse young STEMists in weekly adventures. Children jump for joy when they learn you signed them up for Circus Summer Camp, and you’ll do a flip or two when you see just how much fun they’re having! Circus Camp is where children create wonderful memories, make new friends, and experience a wide variety of circus skills. Spend the summer growing, learning new skills, and playing. Camp offerings include sports camps, fun and games camp, STEAM, music technology, and choral music camps; college essay start-up; and SAT/ACT prep. Trinity School Summer Camp offers a variety of academic, specialty, and sports camps—including Coach Brian Balocki’s popular Atlanta Sports Camps—for children ages 4 to 13. Located in the Buckhead area of northwest Atlanta, Westminster’s Summer Camps have been educating, entertaining, and engaging children for more than 60 years. Full-day and half-day camps offer a traditional day camp experience, specialty camps, and sports camps. With more than 150 camp offerings, Woodward Academy Summer Camps offer young scholars, athletes, explorers, and artists an array of enrichment, athletic, academic, and activity camps on our two campuses in metro Atlanta and Johns Creek. You’ll never hear “I’m bored” this summer! New field trips, new weekly adventures, new friends, and four can’t-miss headliner weeks. Designed for 5-12 year-olds with unforgettable field trips. Variety of summer programs and camps. Debate and public speaking for all experience levels. High school students get a glimpse at what to think about when choosing the right college journey. Academic summer camp with reading, math, and Chinese language studies. Remediation, therapy and camp activities are delivered to children in a language-rich environment. Provide students with a strong foundation of money management, budgeting and saving. Explore creativity through performing, literary and visual arts. Art à la carte summer camp. Weekly camps 9:30 a.m.-2:30 pm. Ages 5-12 and teen workshops ages 13-18. Sewing, fashion design and photography! Summer camps designed to build skills, creativity and confidence. Performance Camps: “Mary Poppins,” “Hamilton,” “Wizard of Oz,” Fairytale Musicals, Improv, Action Adventure and Teen Broadway camp. Summer art camp exploring art, getting messy and having a blast. Arts, ukulele, singing, puppetry, toy making, mythical creatures, painting, improv, anime, “art-stronomy”, drama and gift making camps. Theme-based sessions in the visual and performing arts. Draw, sculpt, clay, canvas, mosaic, one-hour daily fitness. Focus on holistic learning through enrichment in the arts. Emphasizes creative side of computing. Different theme each week. Emory University, Fulton Science Academy and Georgia Tech. Learn to code Python, Java, game development, Minecraft and more. Summer workshops geared at students looking to learn more about careers in creative design, film, animation, broadcasting and other areas of the media. Creative movement, beginner/intermediate day program, young dancer’s summer experience, teen ballet, boys classes. Designed for students of all levels, these music camps teach kids the fundamentals of rehearsing, recording, music history, and performance. Themed camps for grades K-5; performance workshops, grades 6-12. Learn ballet, jazz, tap and more at this weekly camp. Modern dance and hip hop, field trips and performances. Ballet, jazz, tap, musical theater and acting camps. Full stage production camps. Music camps for musicians of all skill levels. Quality instruction on violin, viola, cello and double bass. Performance tour to Jamaica. Work as an ensemble to create, rehearse and present short productions. Designed to introduce kids to the language, stories, characters and ideas in Shakespeare’s plays in imaginative and playful ways. This 5 day intensive covers every aspect of the audition process. Beauty and the Beast, Sound of Music, comedic acting and improv, superheroes, stunt training and Hamilton. At GET, they believe in a holistic training experience for students where they learn the importance of selfless ensemble collaboration, teamwork, strong work ethic and empathy. Musical theater and acting camps. Full stage production camps. Camp offerings include drones, woodworking, performing arts, STEAM, cooking and so much more. Engaging weekly themes, daily fitness activities, field trips, special guests and action-packed days. Golf, tennis, Taekwondo, dance, theatre, gymnastics, soccer, horseback riding, math, music, Spanish, swimming, tea parties and more. An educational, exciting, and engaging youth development camp. Each camp offers a special theme and many activities. Rope swing, zip line, swimming, drama, cooking and art. Many camps including sports, arts, drama, computer and leadership. Field trips, art/science projects, movie days and outdoor fun. Camp Timber Ridge. Swimming, arts, nature games and outdoor skills. Open to all girls. Music, art, creative writing, and engineering camps. Athletic, art, dance, academic and drama camps. Choose from a variety of activities such as arts and crafts, cooking, tumbling, outside games, drama, music, and an optional swim time. Traditional outdoor activities directed at self-improvement, environmental awareness and non-competitive achievement. Athletics, arts, academics and more! PK5-12th grade. June-August. Weekly programs. Full-and half-day. The mission is to deliver lifelong friendships, personal growth, and a meaningful connection to the Jewish community and Israel. Classic summer camp for getting kids to play in the great outdoors. Weekly themed programs including computer programs, crafts, sports, field trips and more. Different themes each week: spy school, insects and arachnids, oceanography, junior inventors and more. Performing arts, specialty, sports, teen, traditional camps. Themed weeks, arts and crafts, weekly field trips, swimming and sports. STEAM camp, robotics, video and film, survivor code breaking, Mindcraft and water adventures. Different camp themes each week and STEM camp. STEM program camp and different weekly themes. Camps include game design, faith and fun, Pinterest, LEGO, arts, and athletics. Swimming, recreation, arts and crafts, sports, specialty camps and counselors program. Art, sports, games and outings. Basketball, soccer, cheer, archery, fencing, fine arts, science, Spanish, driver’s ed, band, drama, MOD design, musical theatre, Atlanta Braves camp and more. The Sunshine House. Weekly themes, ThinkStretch Summer Learning Program, NFL Play 60, field trips may include zoo, planetariums and amusement parks. A camp with sports, education and fitness, which includes soccer, basketball, football and karate. Plus dance, tumbling, agility, arts and crafts and science experiments. Field trips and pizza parties. At Steve & Kate’s, kids try, fail, and learn on their own while learning to trust their own judgment. These will ultimately be the kids who are prepared to tackle the challenges of an ever changing world with creativity and confidence. Educational camps include yoga, art, circus fun, sports, LEGO, robotics and more. Art, basketball, dance, karate, cooking, extreme sports, golf, horseback, science, tennis, and daily field trips. Play and nature camp for younger children. Specialty camps, hand work, games and art. Sports, academic enrichment, technology, arts and fun and games camps. Day camps, sports, coding, theater, movies and game designing, academics, and more. Summer day camp, sports camp, and specialty camp. Christian day camp, basketball, volleyball, strength and agility, football, drivers’ education, college prep, archery and more. Technology, arts and crafts, sports, computer lab, swimming, and outdoor activities. Explore the past through games, historic simulations, performances, crafts and hands-on activities. Have fun on the farm not far from home! Spend your days like an 1870s farm kid at Dunwoody’s only authentic history camp. Experience first-hand how kids lived in the Olden Days: Hand-churn butter and ice cream, Milk the goats, Groom a pony and much more. French, German, Mandarin, Spanish, English as a second language, Filmmaking, Circus Art, Superheroes, Olympic Madness, Chess and much more! Language immersion summer camp with educational activities and weekly field trips. Chattahoochee Nature Center. Swimming, canoeing, hiking, animal encounters, and more. Weekly, nature-themed full-day and half-day programs for ages 4-12. Environmental education, outdoor sports, arts and crafts, science labs and swimming. Zoo Atlanta. Weekly themes, games, crafts and hands-on learning about animals. Every camp offers adventure, friendship and fun, and all seek to develop the camper’s Head, Heart, Hands and Health to make him a better person. General day camp, CIT program, arts exploration, sports camps, babysitter boot camp, specialty camps and summer programs. Art, swimming, sports, dance, games, outdoor exploration. The City’s Recreation and Parks Department offers a variety of excellent summer camp options for all ages. General day camp, gymnastics, summer sports camps, art/science camp, discover nature and theatre production. Summer academies for students interested in STEAM careers like architecture, engineering and construction. The BioIgnite Design Summer Camp teaches about exciting BioSTEM topics such as Biomedical Imaging, NeuroEngineering, Biomechanics, and Regenerative Medicine. Guided LEGO brick play with new experiences and opportunities to earn badges. A unique week-long adventure for girls to learn, build and code in a fun and supportive environment. Science, technology, engineering, mathematics, entrepreneurship and innovation. 48 different computer, LEGO, robotics, science and space camps to choose from. Full-and half-day camps with a variety of STEM-based game building. Minecraft, Roblox and more. STEM camps, build rockets, roller coasters, video games, LEGO robotics and more. Science, art, technology, coding, robotics, 3D printing and Minecraft. Fernbank Science Center. Activities about practice and history of flight. Includes some field trips. STEAM camp, robotics, video and film, survivor code breaking, Minecraft and water adventures. Rockets, chemical reactions, robotics, stop motion animation, animals, outer space, goo, and STEAM camps. Flight and Aeronautics, Veterinary, Lego® Engineers, Science of Superheroes, Scratch Coding, VEX® IQ Robotics, Oceanic Exploration, CAD Camp, Video Game Design, and Crazy Science! 2019 STEAM summer camp. Full-day camps, Rising K – 6th Grades. May 28 –July 26. These combo camps will feature exciting Science, Technology, Engineering, Art and Math activities to spark the imagination of the campers. Plan your summer with STEAM-based programs designed to educate and entertain. Six weeks of summertime STEAM-based learning and fun. Ages 5 to 15. Includes art, digital art, robotics, coding environmental science, math, drama and more! Experience a broad range of language and academic camps designed to enhance the learning experience for each child. Summer camp for special needs, serving students ages 7-18 with High Functioning Autism, ADHD and communication needs. Children’s Special Services, LLC offer the WIN™ handwriting and sensory social skills camp. June 3-7 at Pace Academy. Theme-based language and sensory enriched program. Pragmatic language, sensory-motor gym, social skills development, drama, crafts. PE-based program for kids receiving O.T. due to sensory integration issues. Asperger’s, ADHD and HFA. Hiking, art therapy, fishing, bicycling, music and drama. Maintain academic progress within a fun camp experience. Camp includes academics, arts and crafts, OT, PE, in-house field trips. Bedford School. For children who need an academic boost in the summer. Camps and clinics for players ranging from D1 athletes to youngsters who have never touched a volleyball. Your child will have fun developing their agility, strength, and coordination while learning fundamental gymnastics. AVA offers a variety of camps to improve athlete’s skill level. Various camps to improve athletes skill level from beginner advanced. A tennis specialty camp plus swimming. All levels welcome. Tennis, basketball, squash, swimming, fencing and rock climbing. These summer camps are legendary for being fun, engaging and active. Join the new Sports Zone in North Point Mall. Multi-sport camp offering flag football, basketball, soccer, kickball and more. Baseball, basketball, cheerleading, football, lacrosse, soccer, swimming, diving, tennis, volleyball, SAT Prep and more. Campers of all skill levels are taught the core fundamentals of a variety of sports in a fun and technical way. Saber fencing is a fast-paced Olympic sport, which teaches kids self-discipline, confidence, and tactical thinking. Often called physical chess, fencing perfectly melds athleticism and mental toughness into one amazing and life-long sport! Camp includes soccer, basketball, football, karate, dance, tumbling, agility, educational activities and more. Activities include trampoline jumping, dodgeball, Sky Fitness, games and crafts. Sports summer camps including golf, tennis, ultimate lacrosse and more. Basketball, cooperative challenges, flag football, hockey, kickball, lacrosse, pool/water activities, soccer, and more. Exciting camp on the lake with focus on water sports. Trapeze, juggling, clowning, magic, unicycling and miming. Performance each Friday. Beginner and advanced sewing, fashion design, summer wardrobe sewing and art camps. Explore the world of modeling and fashion. Photo shoots, fashion shows and more. Learn from the pros. Make reporting, play-by-play and sports anchor tapes. Meet celebrities and more. Kids explore their imagination through magic, illustration, creative writing, and problem-solving.